From the Ashes Arose a Brilliant Flame! 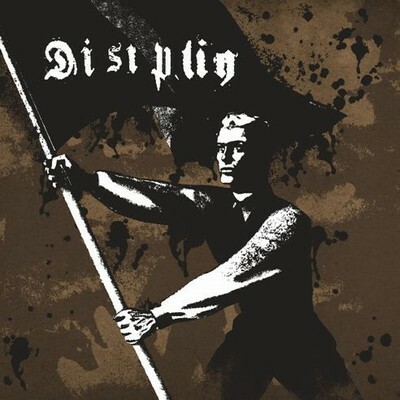 Disiplin (Norwegian for Discipline), was formed the summer of 2000, as a vehicle for the Pagan Current, and to express this in music and writing. In 2002, Disiplin released "Vama Marga"! One hundred copies were handed out at that year's Inferno Festival. The response was overwhelming! "Vama Marga" was later published on the Disiplin website, for people to download. In 2003, Disiplin signed with Moonfog Productions. Studio was booked (Akkerhaugen Lydstudio), and the release date was set for late 2003. ...and the World of the Unpure was Set on Fire! 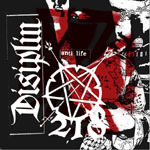 The same year (2003) Disiplin performed its first concert, and marking it, released "The DeathRite Sessions", limited to 31 copies (self released). The War was begun! After recording the self-titled debut album, of songs dating back to the very beginning of Disiplin's birth, it was released late 2003 in Norway, and early 2004 worldwide. The album was praised by local press, international music press and fans! Disiplin performed several concerts in Norway, including the Inferno Festival in 2004, where Disiplin, first publicly made its presence known! ...and the Word of Wotan was spread to the world! Summer of 2004, Disiplin once again entered Akkerhaugen Lydstudio to record its second opus, "Anti-Life". Again, 11 tracks of pure Pagan, Disciplined, Sonic Terror was recorded. The sound was more refined, and the articulation and focus was ever stronger! The Word of Iron, was Spread to the World! Early 2005, "Anti-Life" was released to the world! Again, Disiplin received the attention of everyone! Outstanding reviews and reactions from the press and fans! ...and in Silence and Secrecy Shall the Strong Arise! After some time of absolute silence! Disiplin once again returns... shrouded in mystery. For the Glory of Wotan; for his Word is Victory!